Gilbert A. Bernal is an award winning artist and originator of the Cigar Box Portrait. Gilbert was born and raised in Southern California until he joined the Armed Forces to serve in the United States Army. After a three year enlistment stationed in Germany and in Ft. Sill Ok Gilbert returned home and persued an education in visual arts. Since then Gilbert has ventured into the community to spread his creative services to the public. Gilbert was born & grew up in the San Fernando Valley California USA. During his childhood he realized his talent and love for visual art. He was inspired by cartoons, comics & the art around him. He was constantly practicing by trying to copy characters like Wolverine, Punisher, Batman & Spiderman. He was always encouraged by his family to continue practicing art & learn as much as he could. It wasn't till his time with the military was over did he decide to take art serious, study it & pursue it as a career. In Aug 1996 Gilbert joined the armed forces & served in the United States Army till April 2001. While stationed in Germany for two years, Gilbert took the opportunity to soak in the European culture. When Gilbert returned from the military he decided to use his GI Bill college fund towards his art education. During his time at LA Mission College Gilbert was able to focus on his talent & turn it into a skill. At Mission College the instructors worked with him to understand & speak the language of visual art. While in attendance at LA Mission College, Gilbert Bernal participated in the student art show & received the 2007 Marc Richards Art Achievement Award along with a scholarship. 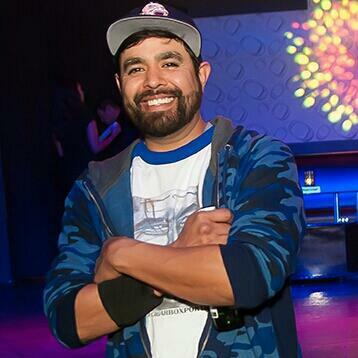 He also began to get his feet wet in the local art scene by appearing at shows in Boyle Heights & other local venues. While at college Gilbert participated in 2009 The Best of the Best of LA Mission show at La Galeria Gitana. In 2010 The National Arts Program at Los Angeles Superior Court where he was awarded jurors choice award. After exhibiting in art shows Gilbert realized this is what he wanted to do with his art & aimed his talent at being an exhibiting artist. Between the years 2010 to present Gilbert has worked at getting his work in the public eye. Recently Gilbert and his art was featured on SCVtv NEWS, you can see the interview here. http://scvtv.com/2016/02/04/local-artist-creates-recycle-art/ . Through his study & practice Gilbert has become versatile with mediums such as charcoal, paint, graphite, ink & other methods to produce his art. In his search to produce original art, Gilbert has developed a style that he can call his own.